This much loved home has great bones and waits your creative touch to transform it into your dream home! 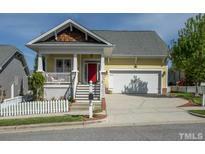 MLS#2249786. 3096. 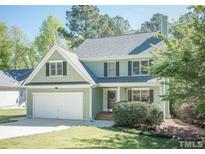 Close to RTP, RDU, Parks, Top Schools. MLS#2249633. 1618. Master w/ custom Walk in Closet, & updated master bath w/ new designer tile work. Screened porch overlooking fenced yard! MLS#2249468. 4767. Top Shelf Neighborhood with Private. Lake Access. MLS#2249406. 633. Neighborhood amenities include pool, tennis. 160-acre Apex Nature Park nearby. MLS#2249377. 1618. The Trace - Centrally located just minutes from historic downtown. MLS#2248076. 5019. Screened porch, fenced yard backs to woods. MLS#2249619. 1320. 5th Bed or Bonus Room w/ two full baths on 2nd floor & additional Flex/Office space Screened Porch. MLS#2249620. 1320. Resort like pool, fitness and tennis amenities! MLS#2248727. 1127. Scotts Mill - Close to Beaver Creek, Historic Downtown Apex, Routes 540, 55, 1 and 64. MLS#2247123. 4632. Chapel Ridge - Please do not use for comp purposes. Unique circumstances. MLS#2249537. 1710. Crocketts Ridge - Fenced yard! HOA dues incl neighborhood pool. MLS#2249536. 986. Scotts Mill - Awesome n'hood amenities include pool, tennis, playground! MLS#2249086. 4767. Carriage Downs - Hardwoods thr/out main level, berber carpet on 2nd, granite counters, Stainless Steel appliances, fiber cement ext, fenced back yard with new sod, water filtration system & finished 2 car garage with epoxy floors & storage Good sized bedrooms, spacious master suite w/walk in closet, blinds throughout. Neighborhood play & picnic area. Immaculate! MLS#2248790. 3051. Sunset Hills - Check school assignments and 540 plans. MLS#2249424. 986. This home has everything you have been looking for in a sought after area 5 minutes from 3 different groceries.Come see this one! MLS#2249171. 4623. This wonderful property is just waiting for you. MLS#2249252. 4721. No detail missed, and very well maintained. MLS#2249069. 4690. Sunset Pointe - Nearby you'll find plenty of shopping and dining amenities, plus only minutes away from major roads leading to downtown Raleigh. MLS#2249164. 1127. Covington - Amazing outdoor living area featuring huge stone patio, firepit, dining area & gazebo. Backs to community pond. MLS#2249152. 649. 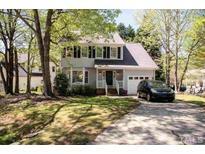 OPEN FLOORPLAN: Living Room w/Fireplace open to huge Dining Room w/panel wainscot and FABULOUS Kitchen w/huge granite island & walk-in pantry! AWESOME Master Bedroom w/huge his/hers Walk in Closet! MLS#2249100. 1709. 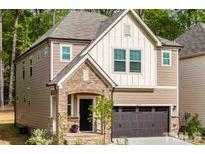 Walden Creek - Close to I-540, shopping , dining, parks & more! MLS#2249193. 986.